Honda has plans to increase exports from Canada to Europe under the CETA deal. The opportunity for Ontario automakers to gain easier access to the overseas market is in jeopardy if the European Union (EU) doesn’t pass a proposed free trade agreement with Canada this month. The Canadian Vehicle Manufacturers’ Association (CVMA) is anxiously watching the EU wrestle with the details of the Comprehensive Economic and Trade Agreement (CETA). A small state in Belgium threatens to thwart the entire deal. It’s one that, if passed, would mean Canadian automobile manufacturers could increase the number of tariff-free exports from Ontario to the EU. Ontario automakers currently ship about 14,000 vehicles to the EU every year. That number would increase to 100,000 tariff-free under the CETA. “We anticipate with this new agreement, along with existing and future mandates, that we can grow those numbers even more,” CVMA president Mark Nantais told Automotive News Canada. According to auto analyst Dennis Desrosiers, 100,000 exports would represent less than five per cent of the roughly 2.5 million vehicles made in Ontario each year. 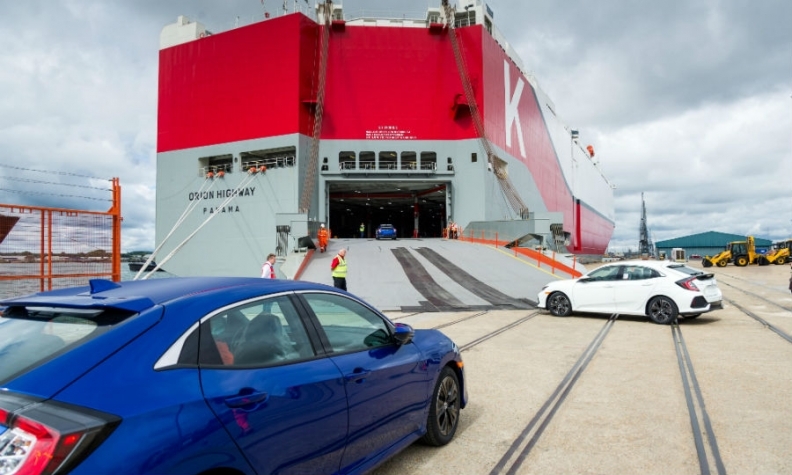 Honda announced in 2015 that its Canadian operation in Alliston, Ont., would produce the new CR-V model for the European market, marking the first time that its Canadian arm will export vehicles to Europe. “The negotiation of a free trade agreement with Europe by the Government of Canada under CETA (the Canada-European Union Comprehensive Economic and Trade Agreement) was a catalyst for our decision to export CR-Vs," Honda Canada Chief Executive Jerry Chenkin said in a statement at the time. Ford and FCA also export some vehicles from their factories in Oakville and Windsor, respectively, Nantais said. The EU was expected to sign off on the deal before the end of October. Nearly all 28 EU governments back the deal, which would be the bloc's first trade agreement with a G7 country. Now, the Belgian state of Wallonia is threatening to veto the deal. Farmers in that region are afraid cheaper Canadian produce will price them out of the market. Under Belgium's complex federal political system, all the country’s regions must agree on the pact in order for it to be approved. “We are watching with great interest,” Nantais said. “I wish I could say I’m confident but it’s hard to say at this point in time. “It’s also a trade deal that at some point in the future anticipates there will be a similar agreement between the U.S. and the EU,” he said. Canadian Trade Minister Chrystia Freeland was in Belgium for last-minute talks on the free trade deal, a spokesman told Reuters, Oct. 19. “We are working hard with our European partners so CETA can be signed this fall and implemented next year," Freeland's spokesman Alex Lawrence told the news agency. According to the Canadian Press, Freeland says she met with Wallonia President Paul Magnette. His region has been given until Oct. 21 to sign the deal. It's a deadline he said he can't meet. Nantais said he hasn’t spoken to Canadian officials since July.